Maple Grove is a band for many different musical palettes. If you like rock, country, or folk, or any combination of the three, if you like bands that have lots of members and lots of moving parts, if you like to boogey right down, then you’ll probably enjoy the music of Maple Grove. Maple Grove is a seven-piece band: yes, that’s three-and-a-half Black Keys, two-and-one-third Creams, and just about parity with the current line-up of Arcade Fire. When you have that many members of a band, you can do a lot of creative things. I’ve been fortunate enough to see Maple Grove live in concert, and I may be so bold as to claim they sound even better live. This will probably not be what you want to hear if you live a million miles away from Ottawa, but don’t worry, the recorded incarnation of Maple Grove is most definitely worth the listen. They’ve released their self-titled first album on Spotify, so can you knock yourself out on that. Along with their original songs, their live show often features a rotating setlist of classic rock covers, reinterpreted through a Maple-Grove lens, and massaged out in a blood-pumping medley that is sure to get even the gruffest Footloose preacher tapping their toe in no time. As Shakespeare once said, “With debut albums comes music videos.” The Maple Grove album begins with the track “The Beauty in Staying Up Late” (which, funnily enough, could double as a title for my autobiography) and that’s the song the band chose to use for its latest music video. The video expresses the feel-good attitude of the band, and the energy of their live shows. 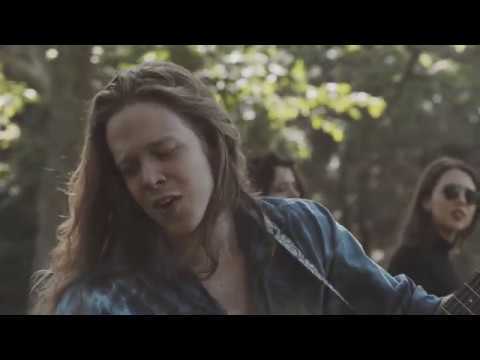 Taking place mainly in sunlit fields under trees that look like the one featured on the cover of the self-titled album, this video takes you to a place of easygoing chillness, which seems to be what Maple Grove is all about.